This is a free ticket only event, please book early to avoid disappointment. 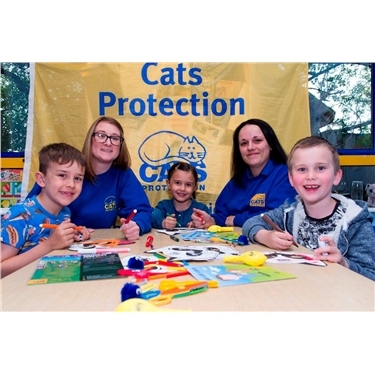 Bridgend Cats Protection Adoption Centre invites you to come along to our free Kiddy Cat Fun Day for a few hours full of fun activities, crafts and workshops all whilst learning about Cats. The workshop is due to take place on Thursday 18 April, 11 am - pm and is for chidren aged 5-12 years (accompanied by one adult).